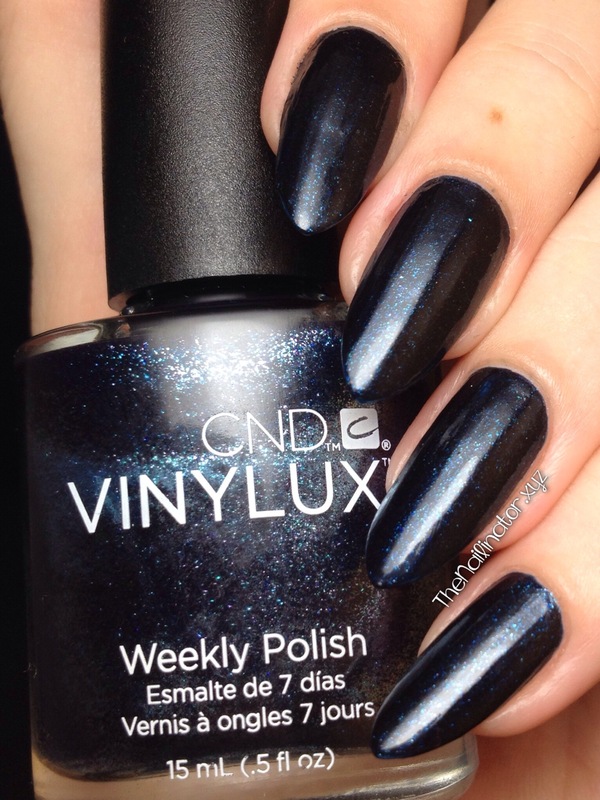 Today I’m going to share some swatches of (and my two cents about my first experience with) a couple of CND Vinylux Weekly Polishes that were sent to me a few weeks ago. This is going to be a wordy post, so please bear with me. 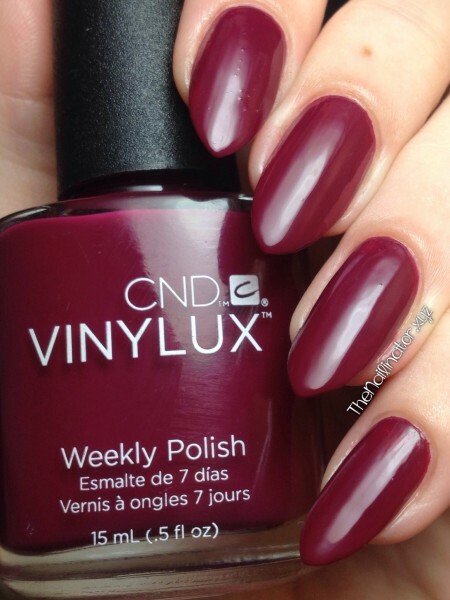 The CND Vinylux Weekly Polish is designed to be used as a two-step system. (1) Starting with clean nails, apply two coats of the Vinylux color of your choice, and (2) finish with one thin coat of Vinylux Weekly Topcoat. The pamphlet says you should not use a base coat as the polish has “adhesion promoters” to help the polish adhere to the nail and to prevent the pigments from coming into direct contact with the natural nail. Can it be? No staining? RAFO people! 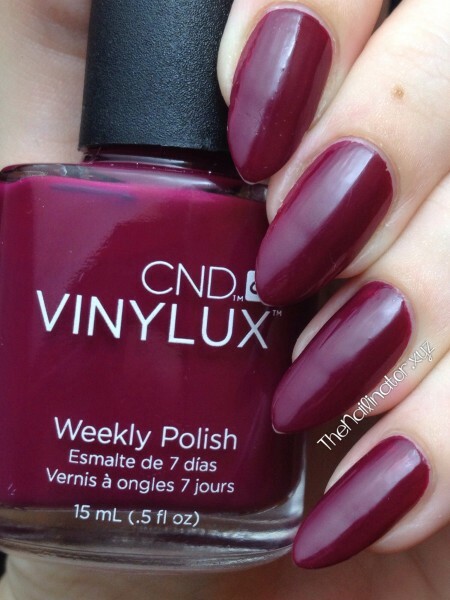 As for the top coat, it features CND’s “ProLight technology” which is designed to increase the durability of the top coat with exposure to natural light. Pretty cool huh? This top coat is supposed to prevent chipping, denting, scratching and dulling for up to a week of wear. I gather that this is something in between regular polish and gel polish. Which polishes did I get, and what did think of them? First up is Midnight Swim (#131). It’s an extremely dark blue filled with shimmery particles of magic fairy dust that look just gorgeous when the light hits them. I WILL be using this polish for Nebula Nail Art very soon! The picture above is from my lightbox. The one below is the same polish under direct light. You can see the subtle shift in color from the change of lighting. Next we have Tinted Love (#153), which is a lovely deep berry shade. It’s reddish and purplish at the same time! I love it! Please pardon the bubbles on my index finger. Totally a user error. I’m a goof and caught the brush on the edge of the bottle and was too busy chatting with Mr. Nailinator to notice the bubbles. The formula on these two are amazing! They were so easy to apply—quite possibly the easiest polish application ever. The brush is wider than the standard polish brush. The bigger size might be a problem for some people, but I personally love the extra width. A wider brush means fewer strokes to apply polish evenly on my nails. As promised in the pamphlet, both polishes were opaque in two coats. They dried quickly as well. I noticed the top coat has a stronger smell than most polishes I have used, so be sure to work in a well-ventilated area. So how did the polish hold up over the test of time? These polishes did not last the whole 7 days for me. I wore them for 7 days without chipping, but I did start to see tip wear after about 4 days. I didn’t really expect them to stay pristine with my oh-so-pointy nail tips (and the fact that I keep house and am pretty hard on my nails). To test them out on some shorter nails, I got a helping hand or two from my mother—henceforth to be known here as The Queen Mother . While it didn’t last a full 7 days for her either, she was really happy with the polish and was impressed with the wear time and how it held up under all the tasks she regularly does at work and at home. Here is how my nails looked on day 5. Not too bad, eh? I think they look pretty good for 5 days wear and tear. I’m gonna be honest and say that I really don’t like having pictures of my nails looking like this on the interwebz. See how dedicated I am to a thorough review? Now lets see how Tinted Love fared after 7 days! Please don’t share this picture! Haha! It’s a far cry from my usual well-manicured look. The scratches are not so visible in person, but as you can see, there is quite a bit of tip-wear and scuffing on the once-shiny surface. 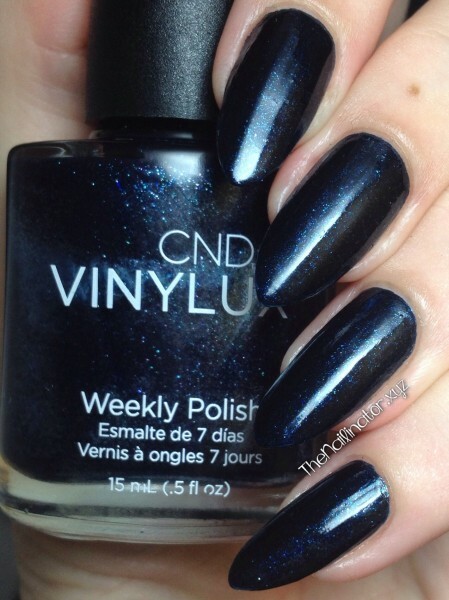 These CND polishes did hold up better than most of the dark colors I have used. I have to compare them to other dark colors because, as you probably know, dark colors tend to show tip wear earlier because of the contrast to the light-colored natural nail. Upon removal, I’m happy to report that neither polish left any staining on my nails. Again, dark polishes (especially blue ones) tend to stain but these did not. Win! It’s possible that since I did both of my swatches at night and rainy weather kept me indoors most of the testing period that I didn’t get the full benefit of the ProLight technology. I am curious to see if my results would be different if I had a few sunny days or a UV light to help strengthen the polish. CND Philippines told me that using their Scrub Fresh preparation could also help as it is formulated to help the polish adhere to the nail better. I’ll be testing that out soon, hopefully, and will let you know. I’ve been told CND Philippines is working on setting up a website so keep an eye out for that as well. If you read this whole post, you get a virtual cookie! Thanks for sticking with it. I hope this information was helpful. 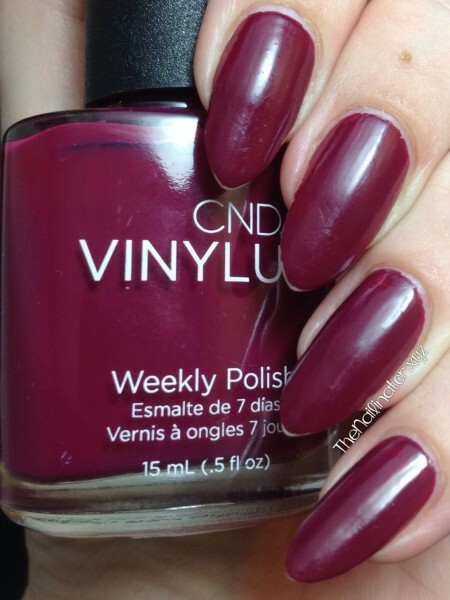 Have you ever tried CND Vinylux or Shellac polishes? I have never tried gel polish before, but I have heard such good things about their Shellac treatment and would be interested to try it. I’m off to go play with my little ones. I hope you have a joyful day and that you make someone smile today! I’ve tried Shellac a couple of times and it’s been the only polish that hasn’t shown any edge chipping or surface denting for me. It’s a pain to remove if you’re the impatient type like me, but it’s the best mani I’ve ever had while on vacation–it lasts! that’s pretty good wear-time !